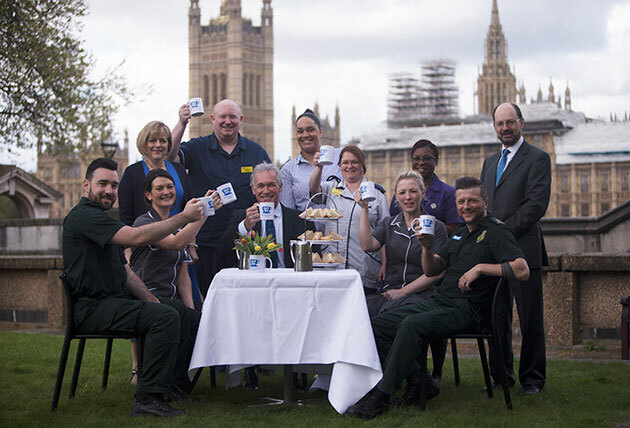 Today, to mark 70 days until the NHS turns 70, NHS charities across the UK ask everyone to raise a cuppa for the NHS Big 7Tea on 5 July. The NHS Big 7Tea is a chance for people to celebrate 70 years of the NHS, recognise the hard work and commitment of staff past and present and raise money for 250 NHS charities by hosting tea parties up and down the country. In recent years NHS charities have funded major capital projects, pioneering research and medical equipment at our hospitals that could not and should not be funded by the NHS. Across the UK they help patients access the best possible care when they need it most. They also play a key role in mobilising volunteers to support NHS staff, brightening wards and waiting areas with colourful and engaging art and building an important link between our hospitals and our communities. The NHS Big 7Tea will raise awareness of the vital work of these charities and let the public know how to support them. The humble cup of tea has a long and proud association with the NHS. Originally served to patients in traditional fine cups with saucers and side spoons as a means of hydration, tea was considered such an important aspect of patient satisfaction that one hospital is rumoured to have even hired an official tea taster. Ian Lush, CEO of NHS charity, Imperial Health Charity said: “Tea is so synonymous with the NHS we couldn’t think of a better way for the nation to toast our wonderful health service and its staff, whilst raising funds for NHS charities. “Whether it’s traditional builders or a fruity rooibos, we want everyone to dust off the old china, rally friends, family, and work colleagues and come together to raise a cuppa and mark this special occasion – 70 deserves celebrating.